BLIND CLEANING SERVICES FOR ALL OF THE CHICAGOLAND AREAS. We Clean Every Type of Blinds! At Lovitt Blinds & Drapery, we make getting your blinds & window shades cleaned easier than ever! Our team is highly experienced and capable of restoring nearly any type of blinds to a clean & beautiful new-like condition. Whether you come to us or need us to come to you, you can expect quality service & at an incredible price as we ensure your window blinds will look like new again! Why Should You Clean Your Window Blinds? 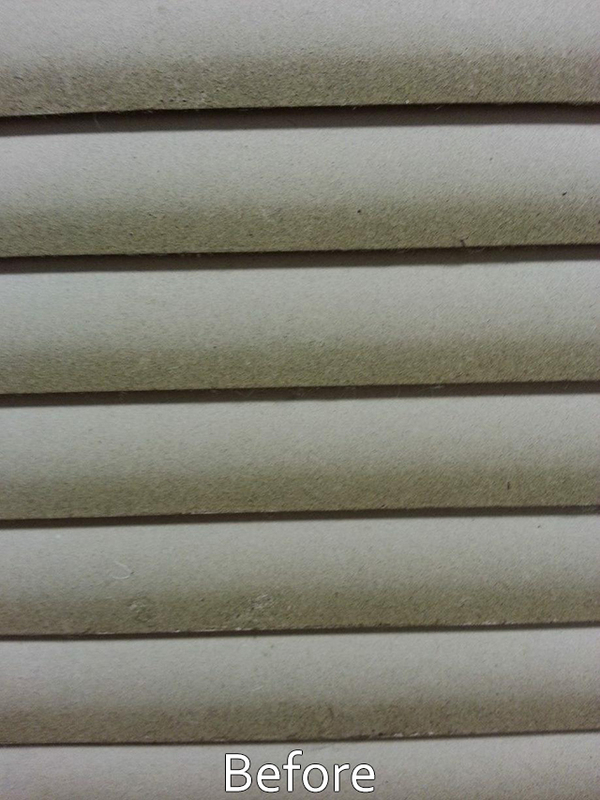 Window blinds are often ignored or forgotten as part of a regular cleaning routine. However, blind cleaning is essential to maintain a healthy & beautiful home or office interior. Blind Cleaning Services that we offer…. If we can not get your dirty blinds cleaned, no one will. guaranteed. ✔ Pick-Up & Delivery Services -We Service ALL of the Chicagoland areas & ALL Suburbs. ✔ Drop-Off Blind Cleaning Service *To our 2 Chicagoland area stores. Save Time – Cleaning window blinds can be a major headache. It takes time to dust all those nooks and crannies. Give yourself a break by calling in the professionals. Get the Job Done Right – Window blinds are surprisingly complex. Large surface areas and dozens of small, moving parts make cleaning difficult. The good news is that the experts know how to do the job thoroughly and efficiently. No matter how dirty, we can clean your blinds. Dirt, dust, pollen, animal dander, and other airborne particles will accumulate on your blinds without regular cleaning and can be easily disturbed every time you open or close your window treatments. This can affect indoor air quality, exacerbating conditions such as allergies and asthma. Let us help you! Blinds are one of the most versatile window treatments, offering a unique and functional look for homes and offices. However, dirty, dusty, and faded blinds will detract from the appeal of your property, diminishing its value and even contributing to health concerns associated with poor air quality. Working with professional blind cleaners can help you renew the look of dirty blinds to instantly improve the appearance and air quality of your property. Lovitt Blinds & Drapery, offers complete blind services to Chicago and the Chicagoland areas, including blind cleaning and blind repair to protect the investment you’ve made in high-quality window blinds or window treatments for your home or office. Need Help Getting Your Blinds Cleaned? OR Have Questions?